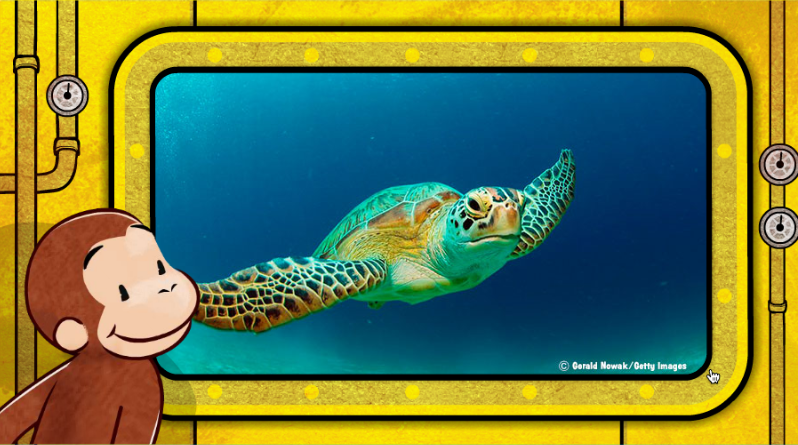 Go deep, in this undersea exploration game I designed and illustrated for the Curious George website. Players are prompted to find varying numbers of sea creatures by lowering George in his submarine to the sea floor and back up. As sea creatures swim past, click on all the goal animals to complete each round. Once all are found, we count aloud and learn fun facts about each creature. Its a great way to learn counting and factual info about marine life!